The weather was not promising on the day of our first auction of 2015. Cold, dark, rain turning to sleet and back to rain again. But that did not deter the many people who attended the auction bringing us good results on jewellery, clocks, and furniture but especially paintings. 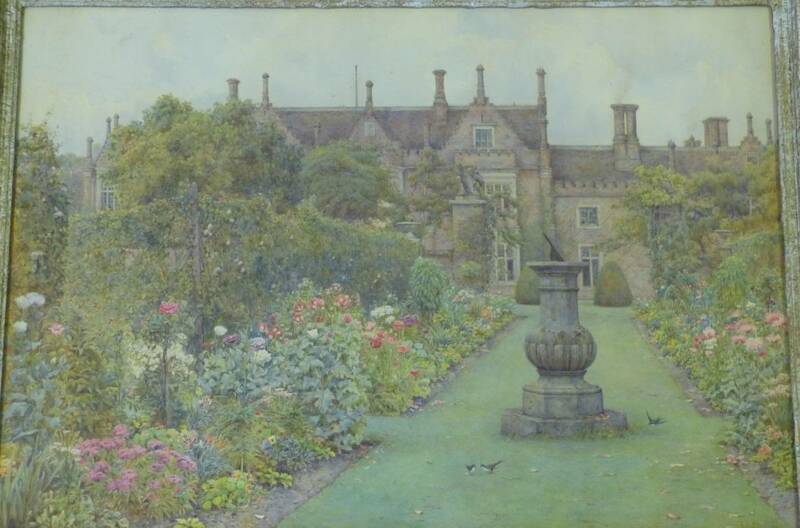 First off was a watercolour by EA Rowe dated 1892 and entitled “Summer Bloom”. We logged several commission bids, had six phone lines dedicated to the lot and the saleroom was crowded with bidders. Bidding started at £100 and continued the hammer fell at £3,150 to a private buyer on the telephone. Also garnering attention were two oil on board paintings by Adolphus Knell. William Adolphus Knell (1801-1875) was a successful maritime painter and both the National Museums of Scotland and the Greenwich Maritime Museum hold examples of his work. The items at auction sold for £720 and £640. Finally, a signed oil on board portrait of a young woman by Susanna Renate Granitsch (1869-1946) exceeded its estimate by selling for £400.